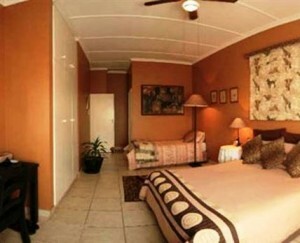 Click HERE for Sparkling Star Guest House Durban Accommodation rates and booking info. This gracious old Victorian home was built in the 1920’s and offer great ambience and atmosphere with its special architectural design and old gleaming Oregon pine floors. 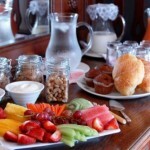 The smell of freshly brewed coffee will invite you to relax on the patio or in the garden overlooking Durban’s harbour. Sparkling Star Guest House is situated in the heart of Glenwood, close to the University of Natal, St. Augustine’s and Entabeni Hospital and an easy drive away from the CBD and Durban’s beaches. The guest house has many facilities that cater for both the travelling business person and holidaymaker.